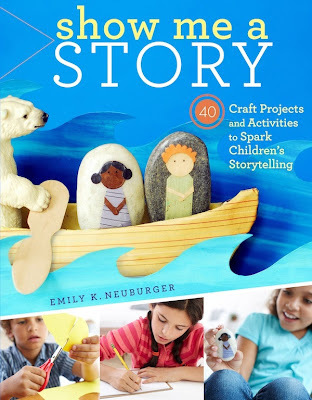 Today I'm participating in the book tour for Show me a Story by Emily Neuburger. 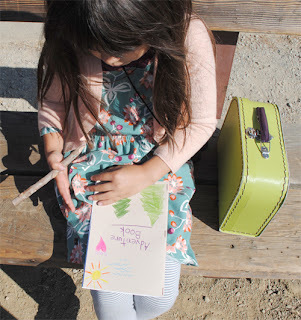 For those not familiar with Emily, she also is the author of the lovely blog Red Bird Crafts. I'm not sure when I first started reading her blog but my guess would be a few years ago. You can always find inspirational crafts on her site along with gorgeous photos of her life. To find out more about Emily, please visit her site. I found myself asking how I would describe Show me a Story because it is truly unique to any children's craft book I've seen. Maybe that's because it's not just a craft book. 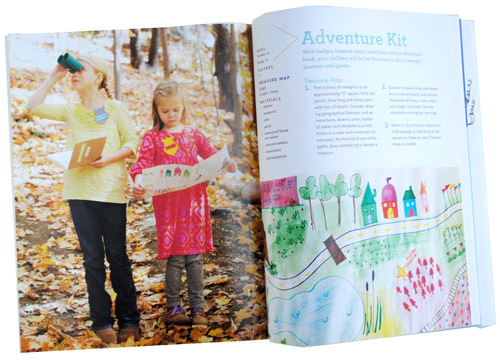 The book is composed of 40 craft projects with the purpose to foster creative story telling/writing. 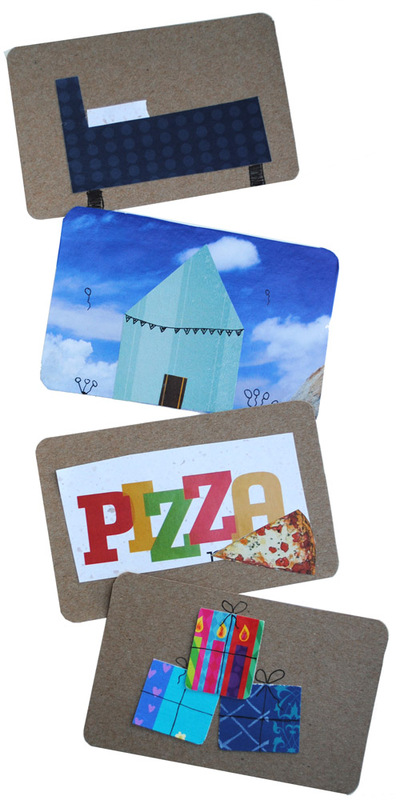 For example, one of the projects has you create a neighborhood with stamps. Once the scene is set you have the child tell a story about who lives there. So really there are two parts to the project, the craft and the story. Plus most of the projects come with teaching tips and other uses for the projects. Instead of trying to explain the content of this book, perhaps I should just show you. I asked my daughter to pick a project from Show me a Story and she zeroed in on this Adventure Kit right away. Specifically, she wanted to make the paper-roll spy binoculars. 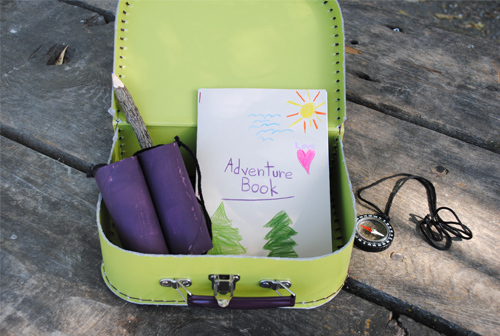 Here's the kit my daughter made, paper-roll binoculars along with an Adventure Book to write in. 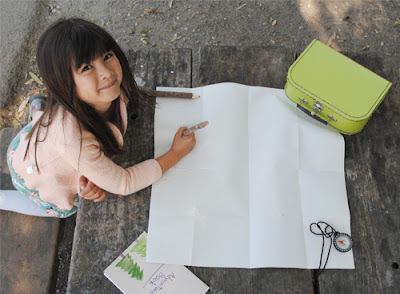 We also added a few extra things, such as a compass and a small bag to collect treasures (rocks, twigs, etc.). We decided to make our map at our destination so it would be more accurate. My son's not in the picture but he was really into this too. He also wanted to help make a map. Once the map was finished, we set out on our adventure. My daughter surveyed the scene for ideas to fill her adventure book with. 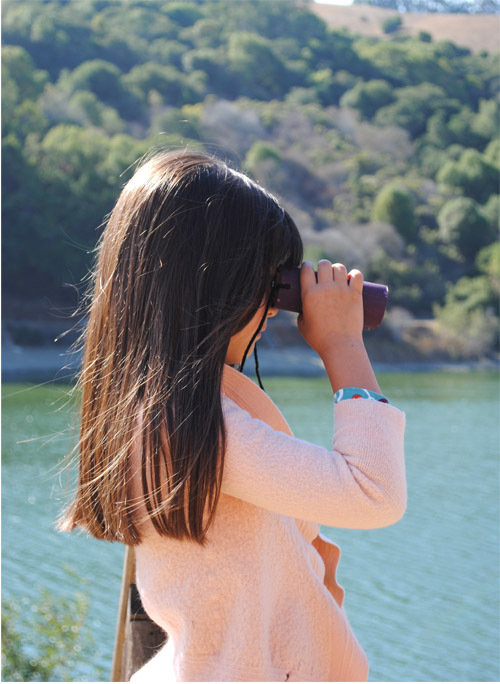 She even claimed she could see better with the paper binoculars. After a good walk and lots of sightseeing, she sat down to document what she saw. When it was time to go she told me, "writing's my thing now, that's what I like to do". What stood out to me about this project from Show me a Story is that the craft takes the pressure off writing. Instead it allows the process to be very easy and organic. Sometimes it can be intimidating for a child (or adult) to think of a story. I realized the craft projects replace the traditional brainstorming methods, making the writing/story telling process easier for children. Above is one of the projects from the book my son created. First he had to think of a memory that stood out to him. Then he made pictures to represent the story. Last he used the pictures to tell a story about his birthday party. There's so much more I could say about Show me a Story but instead I'm going to refer you to some other great posts. Stop by these blogs to see what others are saying about the book. This is so cute! Where do you get the little suitcase? I'd love to make something like this. This is so adorable. Will buy it as a gift for my kids.